The university is being accused of negligence during a Discovery Channel shoot. Florida Atlantic University is allegedly responsible for the death of six sharks, according a statement from Stop Animal Exploitation Now, a nonprofit animal rights organization based in Ohio. 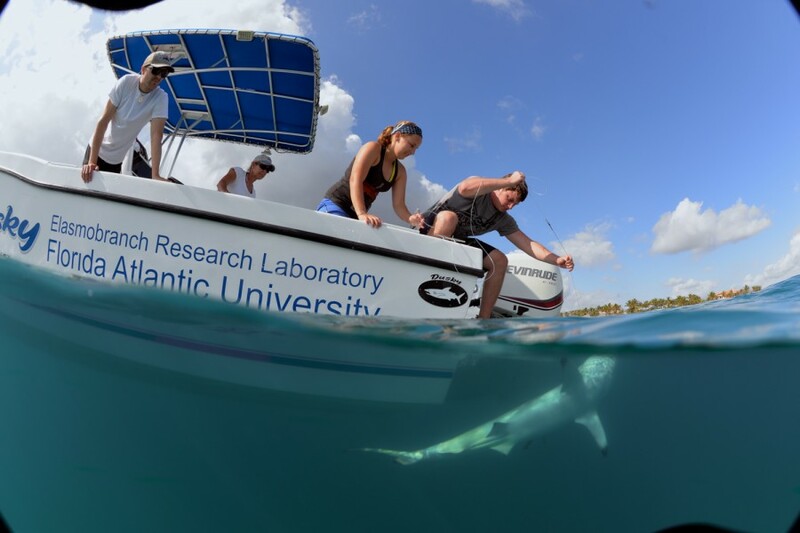 The group claims FAU was responsible for the death of six blacktip sharks during a shoot with the Discovery Channel on March 3, 2015. Representatives from SAEN said the sharks were left in a tank longer than they should have been, referred to as “soak time,” because the Discovery Channel wanted to re-film several sequences for production. Weather conditions “deteriorated” over the course of the shoot, according to the SAEN investigator’s report, and five sharks eventually drowned. Incidents of animal abuse would fall under the U.S. Department of Agriculture’s jurisdiction under the Animal Welfare Act of 1966, but sharks are not listed in the act, according to SAEN researcher analyst Stacey Ellison. The act states that it excludes rats, birds, farm and all cold-blooded animals. The report also states that an unsanctioned species of fish was living in the same tank with stingrays. The organization says that the university neglected a rule about the care for both species. SAEN claims the school failed to maintain proper record keeping and used unapproved staff that was inadequately trained. The organization is calling on the university to open an independent investigation into the situation. FAU filed an incident report on Aug. 6 of last year to the Office of Laboratory Animal Welfare, a federal organization under the Department of Health and Human Services. Media relations representatives Joshua Glanzer and Lisa Metcalf did not respond to requests for comment as of publication time. Check back with the University Press as we continue to update this story.